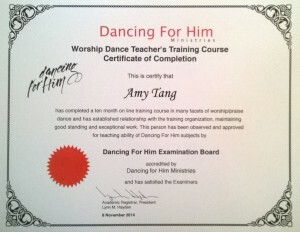 Amy teaches people of all age levels how to use movement and and dance to worship Jesus. 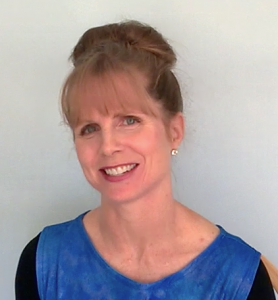 She specializes in teaching children and novice/untrained dancers how express their hearts to God by building a vocabulary of movement using simple everyday movements, expressive sign, and beginning level modern dance. She seeks to provide them with a context, tools, and encouragement to grow in the art of dance and movement. She also helps experienced dancers how to use their art to glorify God by teaching them the biblical basis for dance, how to make sure their dance tells a story, and how to keep their dance church friendly so that it will be well received in church, even by those who are wary of dance. 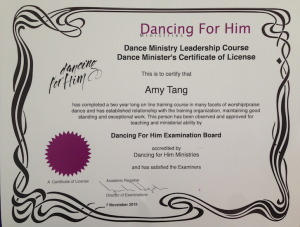 Amy lives and ministers in Pasadena, CA where she offers worship dance workshops and creates training tutorials to help worship dancers with choreography and ministry. She has been choreographing movement and dance for groups of women and children in church for nearly 15 years. 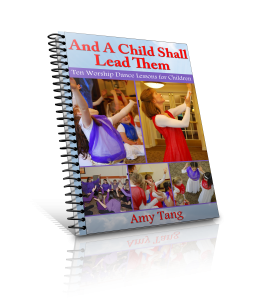 Amy authored the curriculum “A Child Shall Lead Them – Ten Worship Dance Lessons for Children.” In it, teachers, leaders, and parents learn how to lay a biblical foundation for dance for their children, how to build a vocabulary of worship, how to dance the scriptures, and how to keep a kingdom mindset through it all. She also has created the Devotions in Motion videos to give the dancer and the non-dancer a a pattern of prayer and simple movements to do early in the day to get them moving in worship. Her From Performance to Worship videos help dance ministry leaders to teach worship dance to children in a way that touches their hearts and enables them to touch the Lord’s heart and the hearts of those before whom they dance. 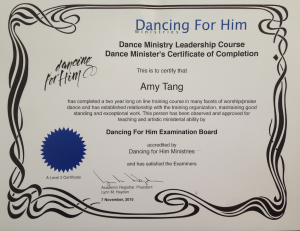 Amy is a certified Worship Dance Teacher and Licensed Dance Ministry Leader through Dancing for Him Ministries. She has also been trained and certified by Jocelyn Richard, of Visual Praise Ministries, as a Liturgical Dance Educator. Amy got her inspiration and her start dancing in worship in 1994 under Cynthia Newland, an internationally recognized dance teacher, choreographer, and performer who incorporated men and women, young and old, skilled and novice in her worshipful dances. From Cynthia, Amy learned that whether we use simple hand motions or choreographed dances, when these movements are an expression of worship, they open our spirits to the Lord and allow him to work powerfully in us. In addition, when dance is used in corporate worship, it softens the hearts of the worshipers, making space for the Lord to make his presence known to those watching. 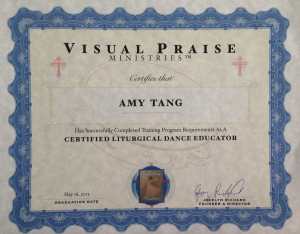 Amy’s vision is to grow a liturgical dance group to minister in the Pasadena area, using dance as a vehicle to share the gospel and to intercede for the individuals and for the community, city, nation, and world.